Good location with friendly staff. Airport shuttle bus service is very convient. Convenient airport hotel with shuttle bus service to/from Narita Airport. Name change since a year ago with new management. Staff efficient and friendly. Rooms renovated with new carpets, beds and power outlets on the desk and bedside table to easily charge mobile phones etc. New thermostats for AC and upgraded to electronic room keys. Family Mart convenience store in the Lobby operates 24 hours. Shuttle bus runs hourly to Narita Station and less frequently to Aeon Mall. Circle Bus (fare required) runs between area hotels and Aeon Mall. They dropped Narita Station and other stops operated in previous years. Chinese, Japanese restaurants are on top floor. Gardenia on Lobby serves breakfast for extra charge. I did not have breakfast. Lunch and Dinner available also. Dinner buffet was adequate for the price. I remember it was better a year ago, but weekend buffet may have more items. A la carte menu no longer available. Nice hotel to stay in. They have a shuttle to take you to the jr station or to the airport. The only downside is that it’s a little far from things to do in Tokyo. But all in all I really enjoy staying here. They have rooms with three beds for families (which is hard to find many places). Room was clean a small modern, staff good. My hotel of choice when flying into Narita. After a tiring long day, I could not set the temperature below 68 degree farenheit. I would like to set the temperature below that for a good sleep. HOTEL MYSTAYS PREMIER Narita places you within 2 miles (3 km) of Boso no Mura Open Air Museum and National Museum of Japanese History. This 3.5-star hotel has 711 rooms and welcomes guests with 3 restaurants, an indoor pool, and free in-room WiFi. Enjoy a drink at the bar or relish the international cuisine at Gardenia, one of 3 onsite restaurants, which serves breakfast, lunch, and dinner. For your convenience, a buffet breakfast is served for a fee each morning from 6 AM to 10 AM. Guests can enjoy a flat-screen TV and stay connected with free WiFi. The bathroom offers hair dryers, free toiletries, and slippers. Other standard amenities include a refrigerator, a safe, and a desk. 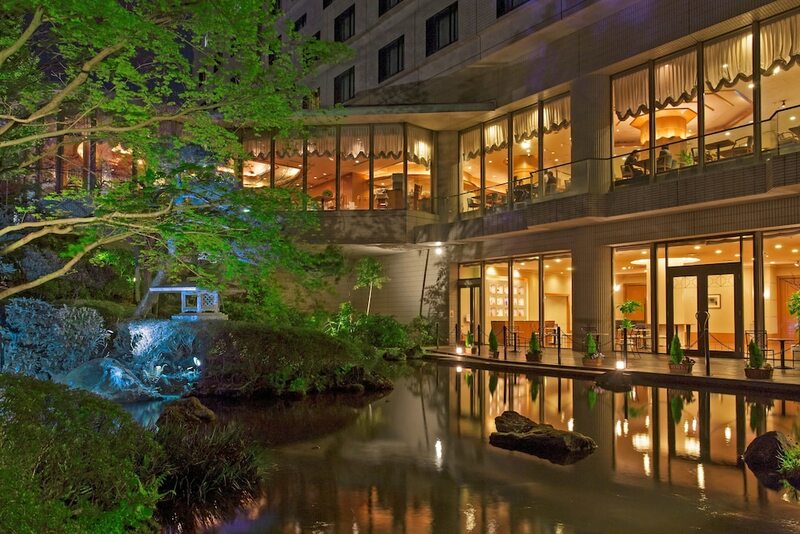 Guests staying at HOTEL MYSTAYS PREMIER Narita enjoy an indoor pool, a fitness center, and a sauna. If you drive, self parking is JPY 400 per day, or you can take advantage of the free airport shuttle at scheduled times. The front desk has multilingual staff standing by 24 hours a day to assist with luggage storage and dry cleaning/laundry. Additional amenities include free WiFi in public areas, laundry facilities, and a vending machine. Thank you for staying at HOTEL MYSTAYS PREMIER Narita, and we appreciate you spent your time on writing to us. We look forward to seeing you in near future. Thank you for selecting us out of the many possible places here and sharing your review with us. The management and staff would like to thank you for the wonderful comments. Your favorable comments has warmed our hearts and we will strive for excellence in our service. Once again, we would like to express our sincere thanks for choosing our hotel. We look forward to your next visit! Thank you for selecting us out of the many possible hotels here and sharing your review with us. The management and staff would like to thank you for the wonderful comments. Your favorable comments has warmed our hearts and we will strive for excellence in our service. Once again, we would like to express our sincere thanks for choosing our hotel. We look forward to your next visit! Gardenia - Restaurant specializing in international cuisine. Open daily for breakfast, lunch, and dinner. Japanese Restaurant Azuma - Restaurant specializing in Japanese cuisine. Open select days for dinner. Horai - Restaurant specializing in Chinese cuisine. Open select days for dinner. Pegasus - Bar. Open select days. Recreation features at HOTEL MYSTAYS PREMIER Narita include an indoor pool, a sauna, and a fitness center. The preferred airport is Tokyo (NRT-Narita Intl.). The front desk is open 24 hours a day. For convenient arrivals and departures, you can take advantage of the free airport shuttle (available during limited hours). Driving? This property offers parking (fees apply). Airport transportation is available at scheduled times from 4:30 AM to 11:00 PM. Fees may apply. Guests can contact the property in advance for details. The name of this property will be changing to Hotel MyStays Premier Narita as of February 1, 2018.